Al Brounstein created Diamond Creek in 1968 with his purchase of 31 hectares in the Diamond Creek canyon. It’s a good thing the land was bought by Al because the previous owner at the time was considering turning the entire site into another golf course. Now one of Napa’s foremost Cabernet Sauvignon focused estates, Diamond Creek continues to produce wines of exceptional character and definition and whose promise with age is simply breath-taking. The three single vineyards – Volcanic Hill, Gravelly Meadow and Red Rock Terrace – are simply revered by connoisseurs the world over. These three distinctly different vineyards are tucked away in a sprawling hillside canyon surrounded by dense forest on the secluded Diamond Mountain. It really is a remarkable place. Even more remarkable considering that the visionary Al Brounstein had no idea what lay beneath the dense woodland when he happened to make room for vines in the late 1960s. 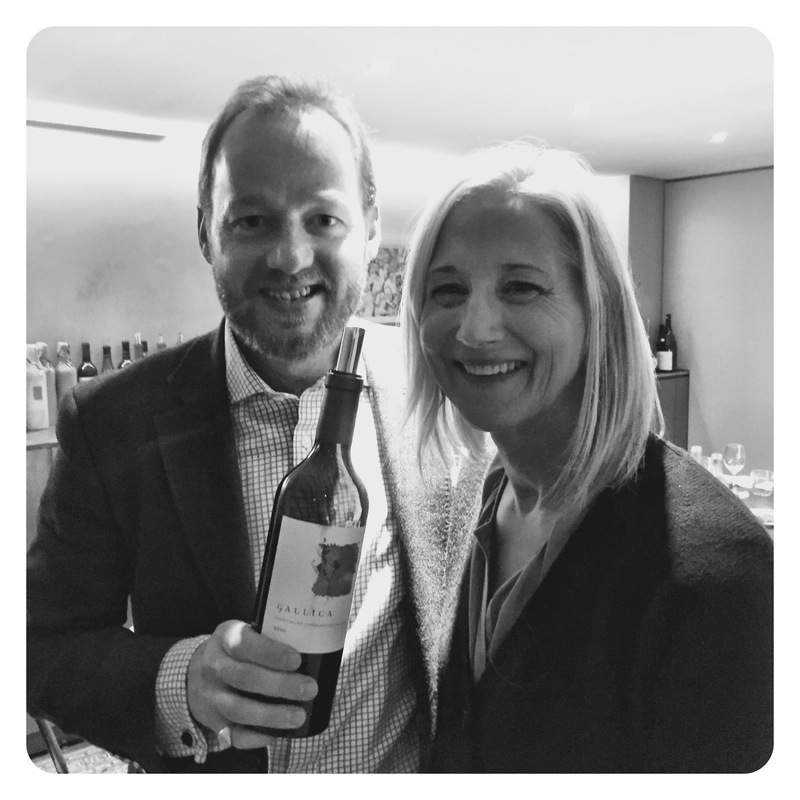 Tasting in London with Diamond Creek’s Phil Ross. According to Phil Ross, the 2016 wines resemble the 2013 reds with a normal Spring then a warm June / July leading to a cooler August and September with fruit picked in nearly October, which is normal for Diamond Creek, but late for Napa Valley. The results as usual are exceptional. Red iron soils yield a rich, opulent expressive nose of blueberry, black plum, mulberry, cassis and salty black liquorice. There are also lovely exotic top notes of cinnamon and clove and vanilla wood spice. Super suave and opulent, the texture is velvety and elegant as usual for this vineyard with impressive finesse and delicacy. Flavours are seamless, focused and oh so pure, finishing with a very long, cassis and blueberry pie concentration. Diamond Creek Gravelly Meadow 2016, Napa Valley, 14.5 Abv. Gravelly sandy based soils with the lowest yields. Shows the intensity and focus of black cassis fruit and dark blueberry fruits but with a pronounced chassis of dusty graphite and crushed gravel minerality complimented by vanilla wood spice and cherry kirsch liquor notes. Beautifully polished, seamless structure with very fine grained powdery dry tannins adding persistence and shape and a fine frame on which the concentrated blue and black berry fruits can coat and caress. More mid palate weight and tension than Red Rock Terrace and a touch more muscle, power and depth. Very impressive release. Diamond Creek Volcanic Hill 2016, Napa Valley, 14.5 Abv. Grown on course ashy volcanic sandy soils, this wine is big, bold and processes tremendous power with dense, plush, opulent grandeur loaded with lashings of blue and black berry fruit, black cherry kirsch, caramelised black currants and sweet salty black liquorice. Less perfumed fragrance and aromatic nuances than the other two cuvees, but on the palate, this is wine impressively full and textured, fleshy and broad with hints of stewed plum, sun dried black cherries, caramelised black currants and the sweetest, plushest, round powdery tannins. Delicious. A legendary wine from an iconic wine region, the long awaited Silver Oak Napa Valley Cabernet Sauvignon 2013 was released in February 2018. The Napa Valley AVA saw just 50.8cm of rain during the winter months leading up to the 2013 growing season; any meaningful precipitation ceased in December of 2012. The lack of rain and a relatively warm spring led to an early start to the growing season. Summer was remarkably mild. During critical ripening, air temperatures remained stable, creating a long, slow harvest. The seasonal trifecta of moderate temperatures, low soil moisture and little precipitation led to a vintage that will be remembered for its structured and concentrated wines. Harvest started on September 2nd and on October 4th the last of the Cabernet Sauvignon was arriving at the winery. The 2013 Napa Valley Cabernet Sauvignon is comprised of 79% Cabernet Sauvignon, 15% Merlot, 3% Cabernet Franc and 3% Petit Verdot. It was blended in early 2014 and aged for 24 months in 85% new American oak and 15% one-passage American oak barrels from Silver Oak’s own Missouri cooperage, The Oak. Early blending assured a balanced core and allowed all components to achieve greater harmony during barrel aging. It was then aged for an additional 20 months in bottle before being released in February of 2018. Silver Oak Napa Valley Cabernet Sauvignon 2013, Napa Valley, California, 13.5 Abv. Wonderfully dense, opulent and masculine. 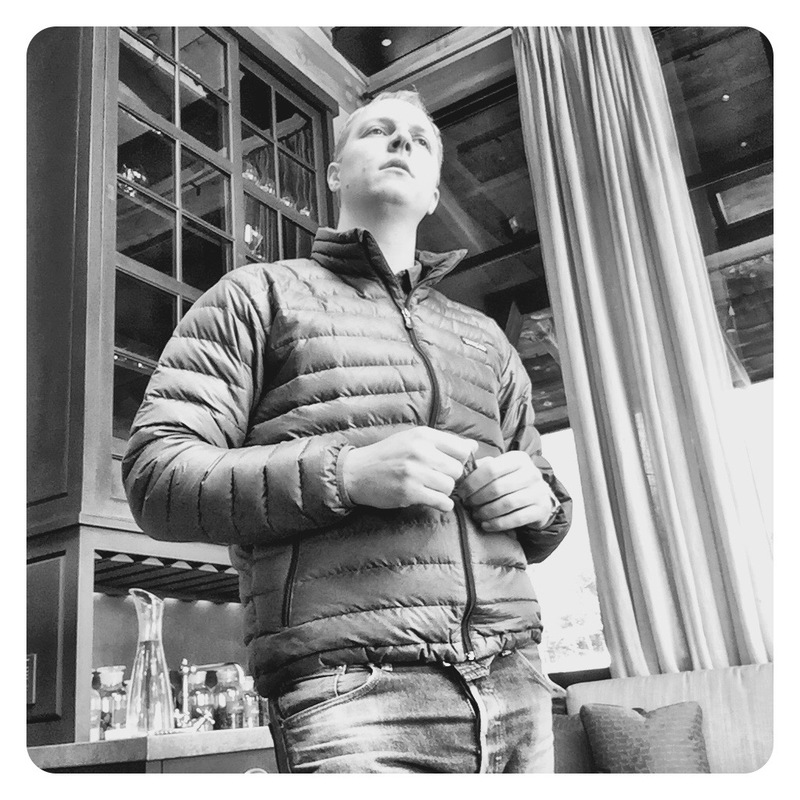 Where the Alexander Valley 2013 is more pretty… beauty personified, the Napa is a gladiator, full of muscle, density, broody black fruits and then a fine dollop of intrigue. All the classical components are there, dusty cassis, liquid graphite, violets, salty Victoria plums and an alluring cedary wood spice note. On the palate the black fruits melt into a dense melange of black berry confit, taut salty liquorice, graphite, cassis, blueberry pastille and muscular, intense, liquid minerality. The road map of this wine is clear. One can see exactly where this wine is going, an understanding that is integral to the impressive rating of this epic Napa release. Will it appeal fully to customers looking to drink it right now? No, maybe less so. But for pure pedigree, power, opulence and intensity, this wine is nearly unsurpassed. 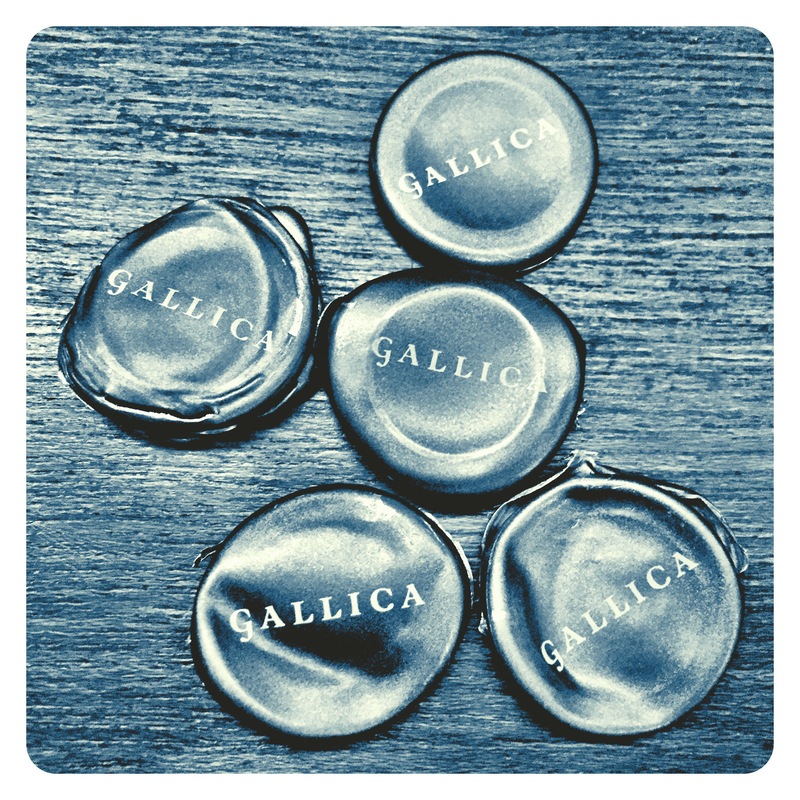 Buy it now and cellar it. It will never ever disappoint such is the long term track record of Silver Oak. This wine offers guaranteed drinking pleasure over 30 to 40+ years if cellared optimally. One of the added benefits of attending the annual tasting of all the J.P.Moueix Bordeaux En-primeur samples is the opportunity to also get a UK pre-release sneak peek of their finished bottled Californian wines including Othelo, Napanook and their iconic Dominus. With such strong US home market demand, allocation quantities through Corney & Barrow, the official UK agent for J.P.Moueix and Dominus, have continued to shrink over the past few years as Robert Parker Jr. has dished out 100 point perfect scores to multiple vintages. Edouard Moueix presenting the family’s Bordeaux and Californian wines in London at private members club Home House. 2015 represents another block buster vintage which also garnered 100 points from Mr Parker, both when tasted in barrel and again in bottle. However, the Dominus proprietary red while always being a big, dense, powerful wine on release also has an incredible propensity to age, evolving into a classical Bordeaux blend expression that often takes your breath away with its sublime mature beauty and balance. The same can certainly not be said for a number of big glossy Napa reds out in the market place. UK release scheduled for September 2018. Dominus Proprietary Red 2015, Napa Valley, 14.5 Abv. 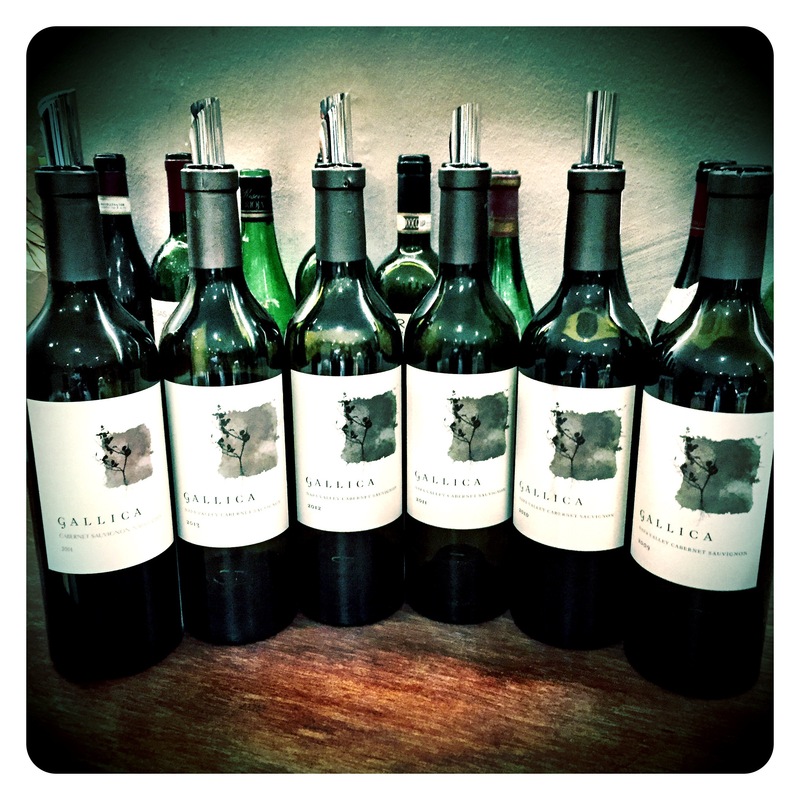 Last year when I visited California, I tasted through the excellent range of wines at Silverado Vineyards. Owned by Walt Disney’s daughter Diane and husband Ron Miller, the ex-quarterback of the La Rams, some fabulous wines have been produced in their Stag’s Leap District winery in Napa Valley along the Silverado Trail over the years. Sadly, Diane passed away around 4+ years ago aged 79 but the estate continues to make some superb high quality, moderately priced wines, none better than their Silverado Solo Cabernet Sauvignon. This certainly is top Cabernet country with illustrious neighbours like Doug Shafer, famous producer of the Hillside Select Cabernet Sauvignon. The Silverado ‘Solo’ single vineyard Cabernet Sauvignon is situated in the Silverado vineyard with a 15 degree slope over 12 hectares which was replanted in 1988-89 solely with the UCD30 Silverado clone, one of the ‘heritage clones’. The wine was aged in all French oak, 60% new, for 18 months. 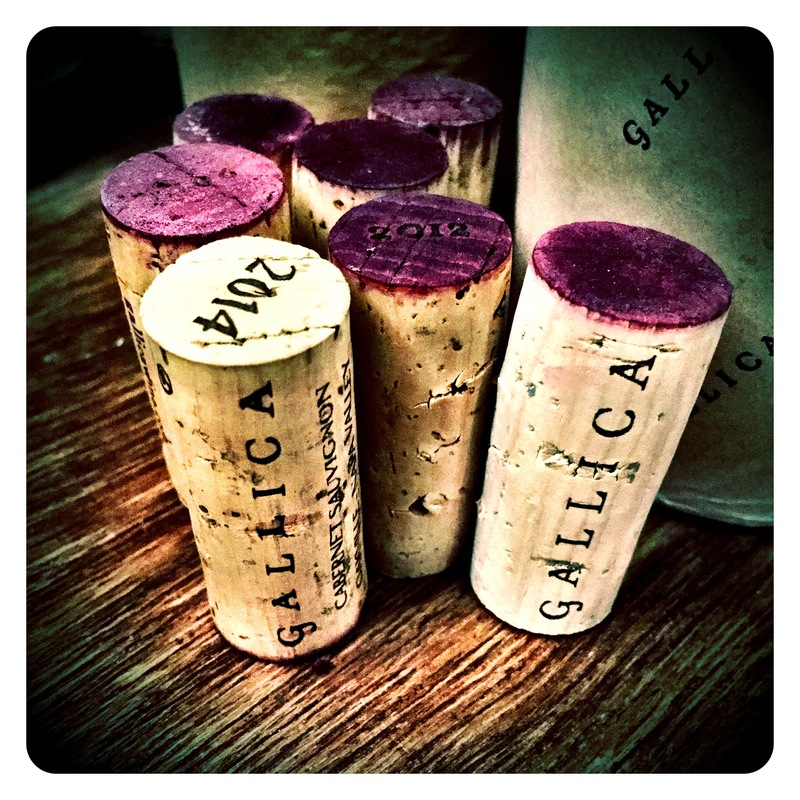 2013 was a fantastic vintage in California, making for bracing red wines packed with freshness, elegance, power and intensity at lower than normal alcohol levels in many cases. Many of the top producer’s wines are long sold out, but if you see them lurking in wine merchants or on restaurant lists, indulge yourself. When I tasted the Solo 2013 back in March 2017, I new this wine was set for greatness, but I just did not realise how good it would turn out. So with this vintage set to be aged for many years to come by collectors, I thought it necessary to re-taste and re-score! Silverado Solo Cabernet Sauvignon 2013, Stags Leap District, Napa Valley, 14.2 Abv. One of my most fun days on my Napa Valley Masters Program trip back in 2007 was the viticulture day out in the vineyards with Bruce Cakebread. In March 2017, a most enjoyable afternoon of wine tasting, pizza making and eating was spent with Bruce in Napa Valley. Tonight, I completed the triangle with a most incredible tasting with Bruce’s wife, Rosemary Cakebread, winemaker of Oakville Cabernet Sauvignon based blends, Gallica, in Napa Valley. 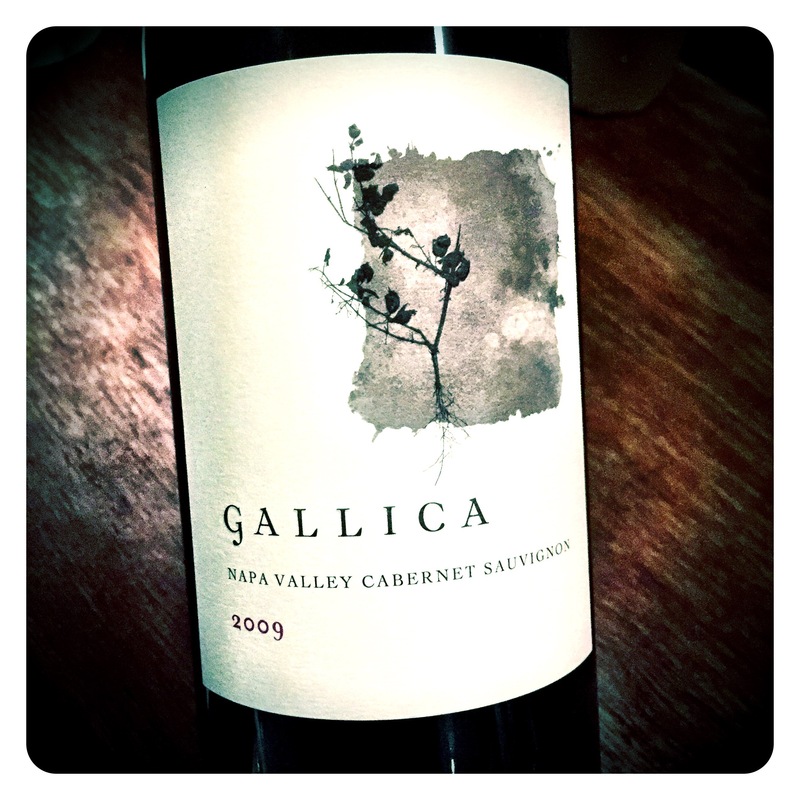 Gallica Cabernet Sauvignon 2009, 14.4 Abv. 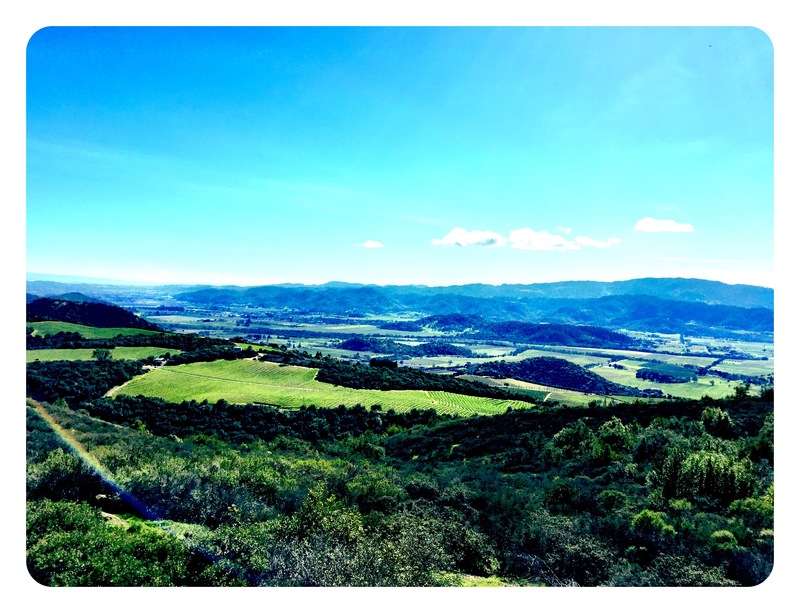 Oakville, Coombsville, St. Helena. 90% Cabernet Sauvignon, 4% Cabernet Franc, 4% Petit Verdot, 81% new French Oak. Taught broody nose, mineral laden, brambly with plenty of herbal spice. Ripe earthy red currant fruit, sweet tannins and a creamy luscious mouthfeel. Fine, precise acids and an impressively mineral graphite finish. 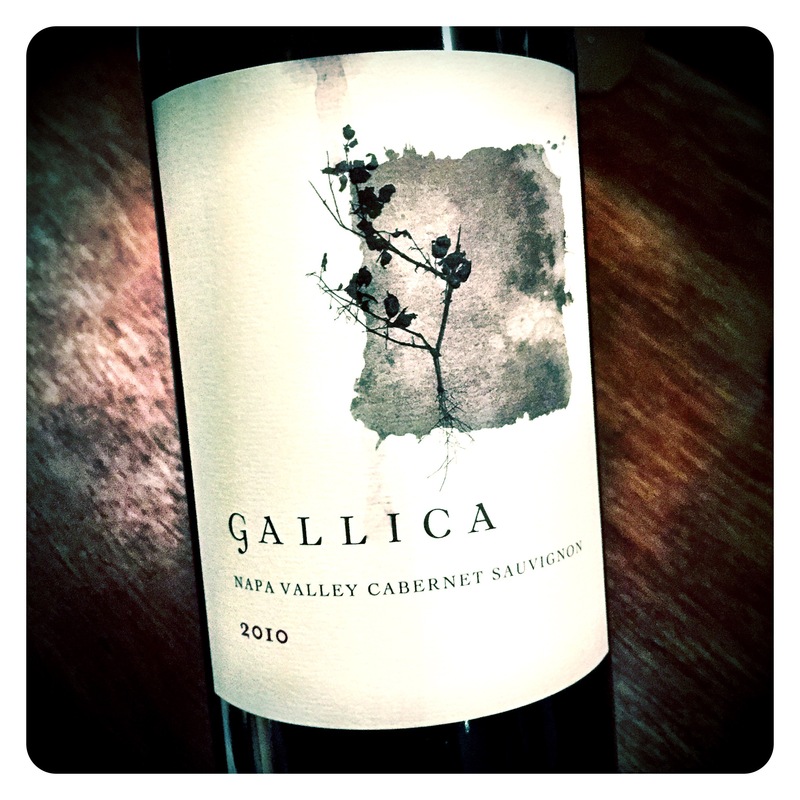 Gallica Cabernet Sauvignon 2010, 14.4 Abv. Oakville Organic Vineyard. 83% Cabernet Sauvignon, 10% Cabernet Franc, 7% Petit Verdot, 19 months in 78% new French Oak. Lifted piercing perfume, purple blossoms, violets and a higher toned polished mahogany, black berry and pithy black cherry spice. Palate also reveals cool dark black berry fruits, creamy vanilla pod spice, liquorice stick and delicious Cabernet Sauvignon purity. Classy, picante style. Oakville Organic Vineyard. 96% Cabernet Sauvignon, 1% Cabernet Franc, 3% Petit Verdot, 19 months in 70% new French Oak. Very pronounced dusty gravelly mineral nose with herbal spice, graphite and leafy characters from a fairly cool vintage. Texture is sleek, precise, and quite suave, elegantly textured but with more angular presence in the mouth. Pronounced acids shape a cool, taught palate that displays beautiful black cherry and bramble berry fruits, herbal spice and silky, dry tannins on the finish. Classy and classically elegant wine. Very nice. 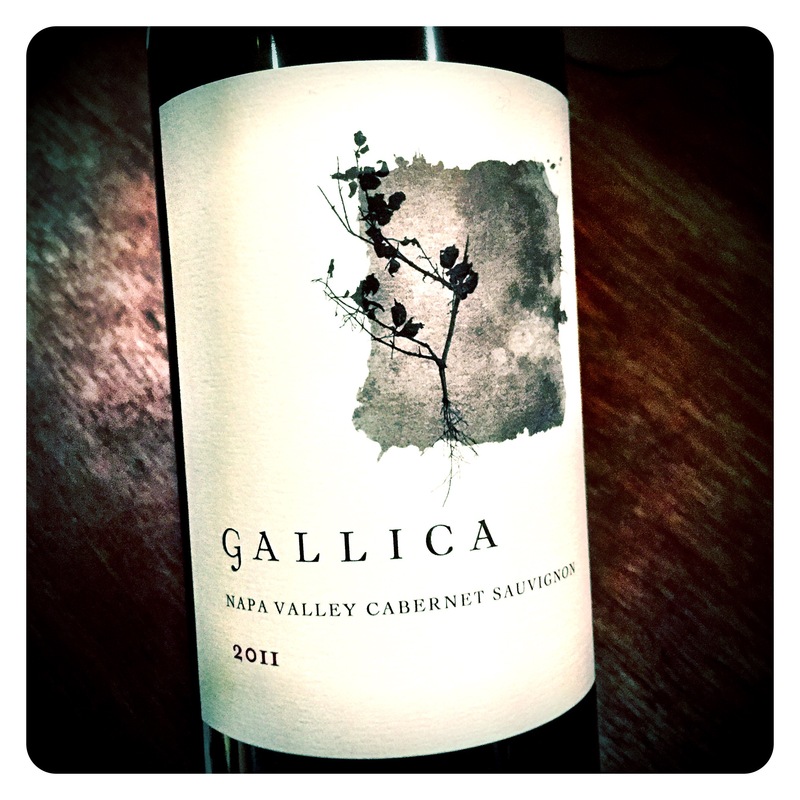 Gallica Cabernet Sauvignon 2012, 14.5 Abv. Oakville Organic Vineyard. 90% Cabernet Sauvignon, 10% Cabernet Franc, 20 months in French Oak. Taught deep dark rich broody wine with tension, dark spicy Cabernet cedar and herbal notes, dusty graphite, hedge row spice and pithy black current fruits. Fine sweet front palate, supple entry, lovely fleshy black pastille weight of fruit that is more opulent than the nose suggests. 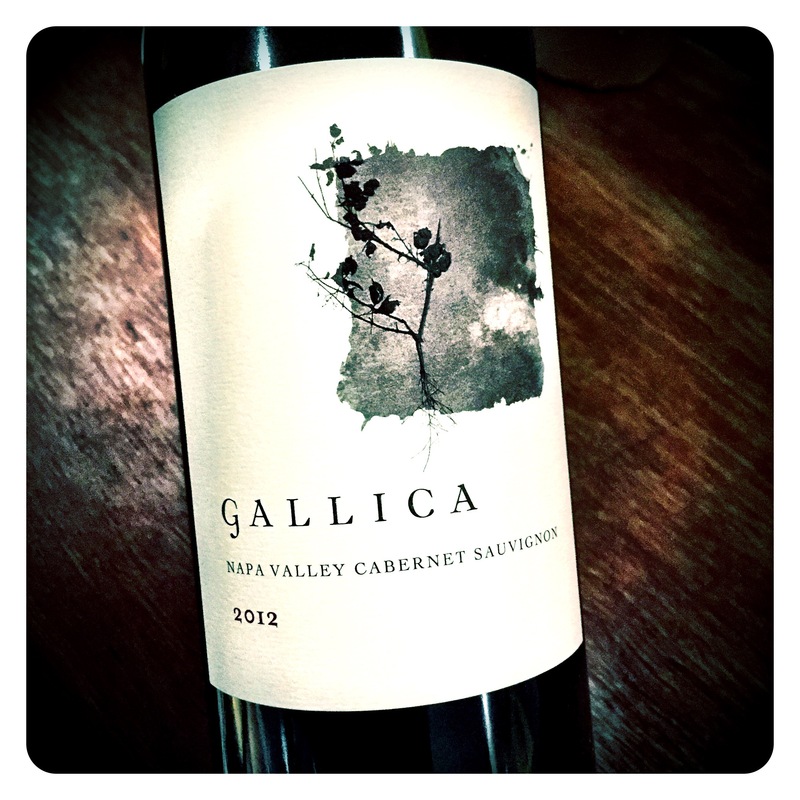 Such precision, pin point mineral tannins and delicious pithy graphite tension and power. Very impressive wine. 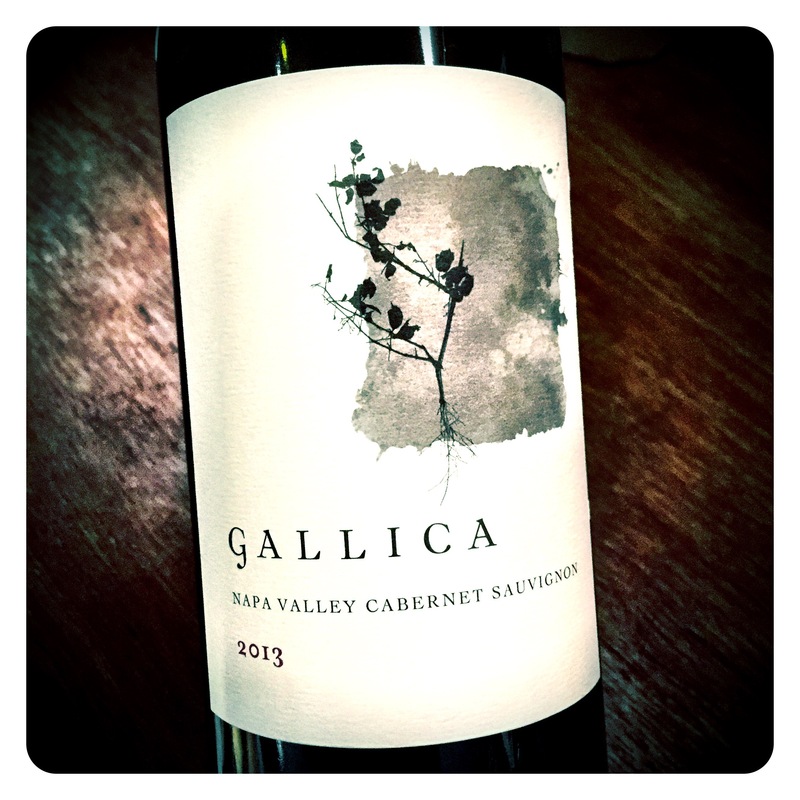 Gallica Cabernet Sauvignon 2013, 14.5 Abv. Oakville Organic Vineyard. 75% Cabernet Sauvignon, 25% Cabernet Franc, 20 months in French Oak. Sweet sour red plum, wet tobacco, forest leaves and pronounced exotic red fruit notes. Quite dusty, granitic and mineral, with dark black picante fruit nuances developing. Palate texture is lush, plush, creamy, dreamy, with expansive sweet tannins, fleshy blueberry and cassis pastille fruit weight. A real turbo charged vintage in the best sense. Harmonious balance, this wine does not put a foot out of place. Hedonistic, opulent, but retains classical shape. A really impressive all round great wine from a fantastic benchmark vintage. 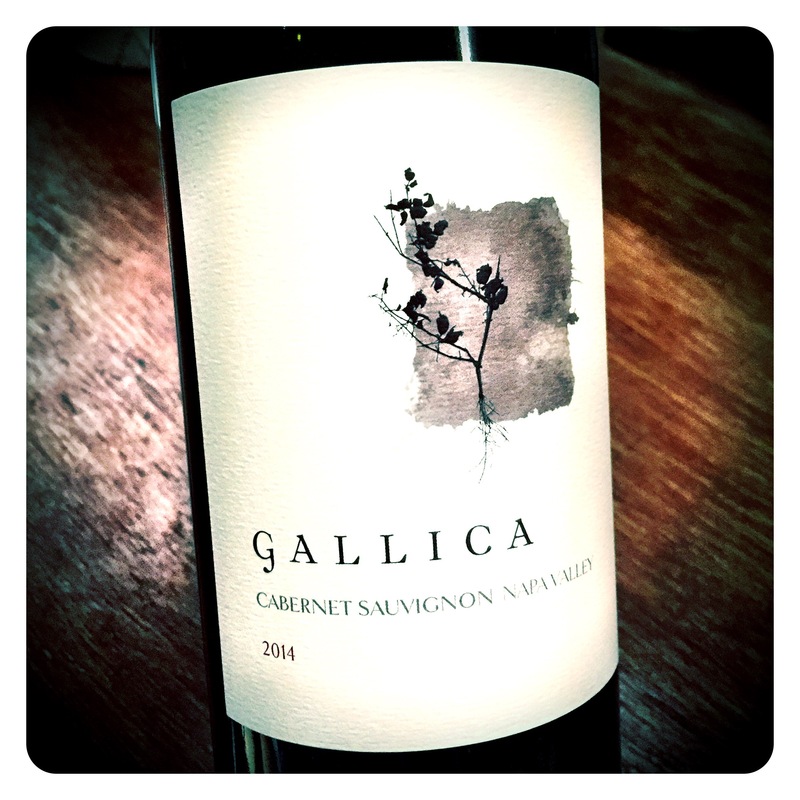 Gallica Cabernet Sauvignon 2014, 14.5 Abv. Oakville Organic Vineyard. 75% Cabernet Sauvignon, 25% Cabernet Franc, 19 months in French Oak. Youthful, opulent exotic nose brimming with blue berry crumble, mulberries, cassis pastille fruits, vanilla bean spice, graphite and such delicious opulent aromatic lift. The palate is ultra opulent but also hugely concentrated and generous. Tannins are textural, grippy but sweet, acids ultra vibrant but then quietly melt away into the mouth watering blueberry fruit concentration. Young and precocious, the brûlée coffee bean espresso complexity really underlines the showy attractiveness of this wine. A definite crowd pleaser. Give it another year in bottle to assimilate the oak more seamlessly. 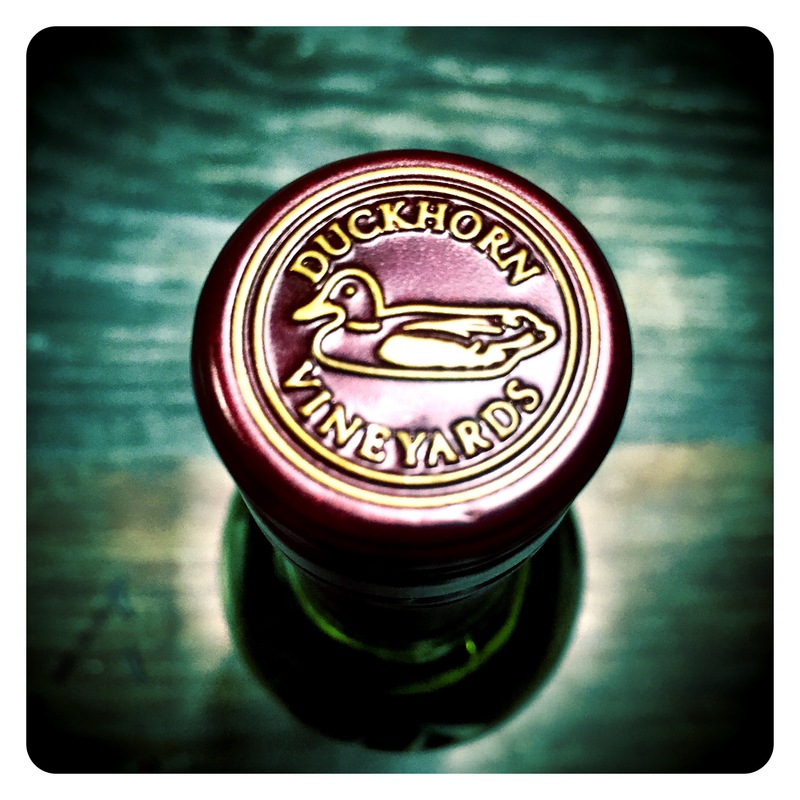 Inspired after a visit to Bordeaux, Dan Duckhorn produced the first vintage of Duckhorn Vineyards Napa Valley Merlot in 1978. Highlighting Estate vineyards and top sites, their renowned Merlot reflects the diversity of the valley’s many appellations. Blended with a small amount of Cabernet Sauvignon to add a little extra depth, power and structure, this wine typifies high quality Merlot like only France, Tuscany and California can produce. 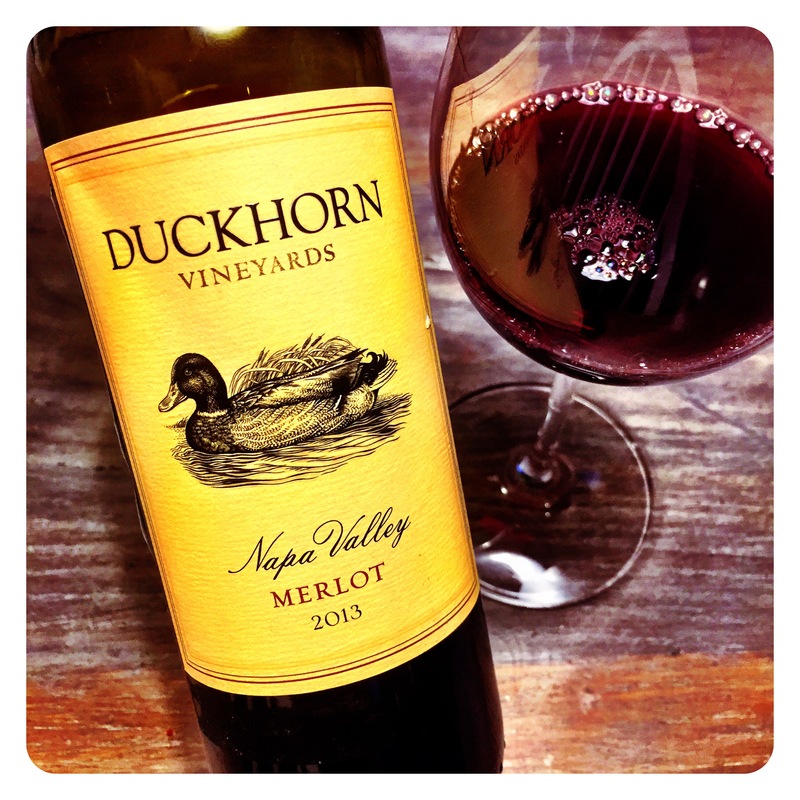 Duckhorn Vineyards Napa Valley Merlot 2013, 14.5 Abv. This pretty 2013 Merlot displays a saturated red- purple plum colour matched by an expressive, opulent bouquet. There are lashings of sweet black cherries, blueberry, graphite, black plum and dusty, smokey cassis with a sprinkling of mocha choc spice and creamy vanilla pod spice. The palate too is lush and generous with a very finely structured, elegant texture and sleek powdery tannins. The flavours are creamy and intense, with bright piercing cherry acids, blueberry pie, creme de cassis concentration, and finishes with a beautifully tight knit elegance and focus. 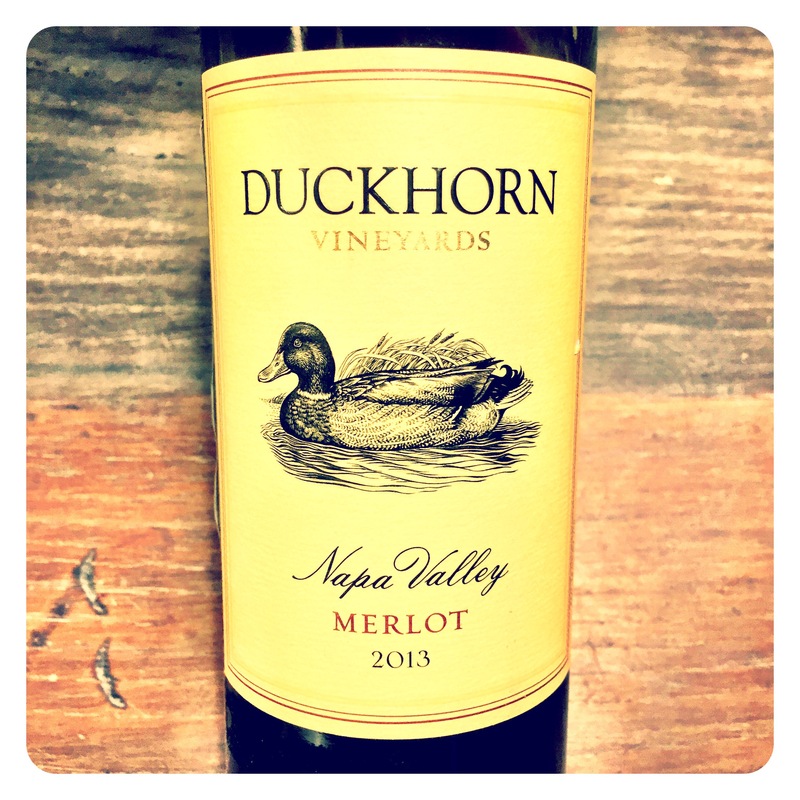 A serious expression for Duckhorn, for Merlot and for Napa Valley in a fantastic Californian vintage. In early March 2017 I was very fortunate to visit the beautiful Icon winery of OVID, perched up high in the hills above St Helena. While we only tasted a small selection of wines, it stilled proved to be one of the true highlights of the week long visit to Napa and Sonoma. OVID (Publius Ovid Naso) was a roman poet who lived from 43 bc–17 ad. His most famous work, Metamorphoses, is a poetic narrative of the Greek myths, celebrating the themes of transformation and change. OVID is generally a blend of four Bordeaux varietals grown there: Cabernet Sauvignon, Cabernet Franc, Merlot & Petit Verdot, which varying in proportion from year to year but always manage to eloquently convey the special terroir of their vineyards. 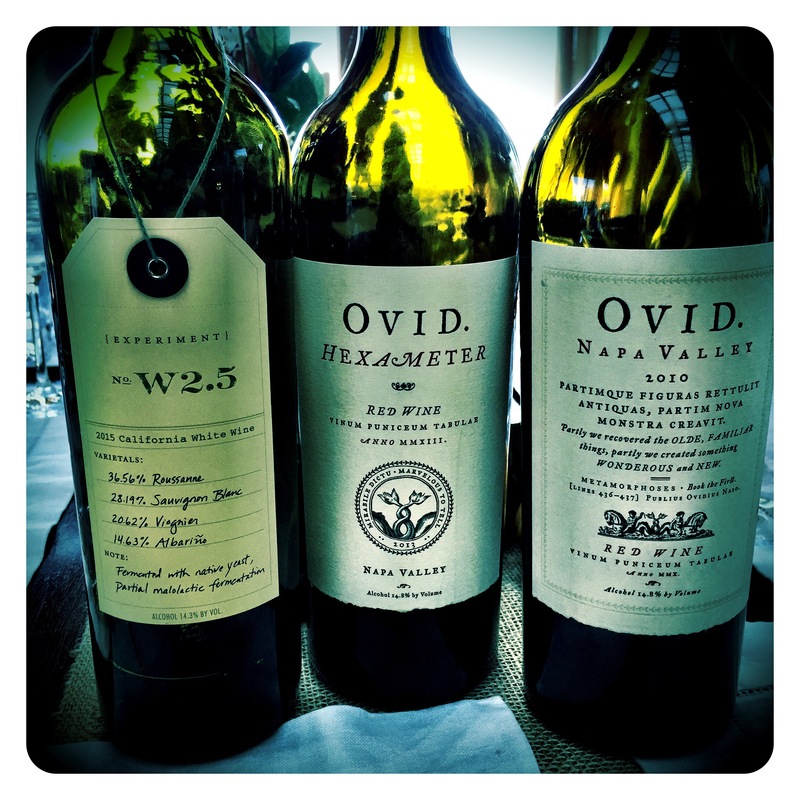 OVID No.W2.5 Experimental White Blend 2015, St Helena, Napa Valley, 14.3 Abv. 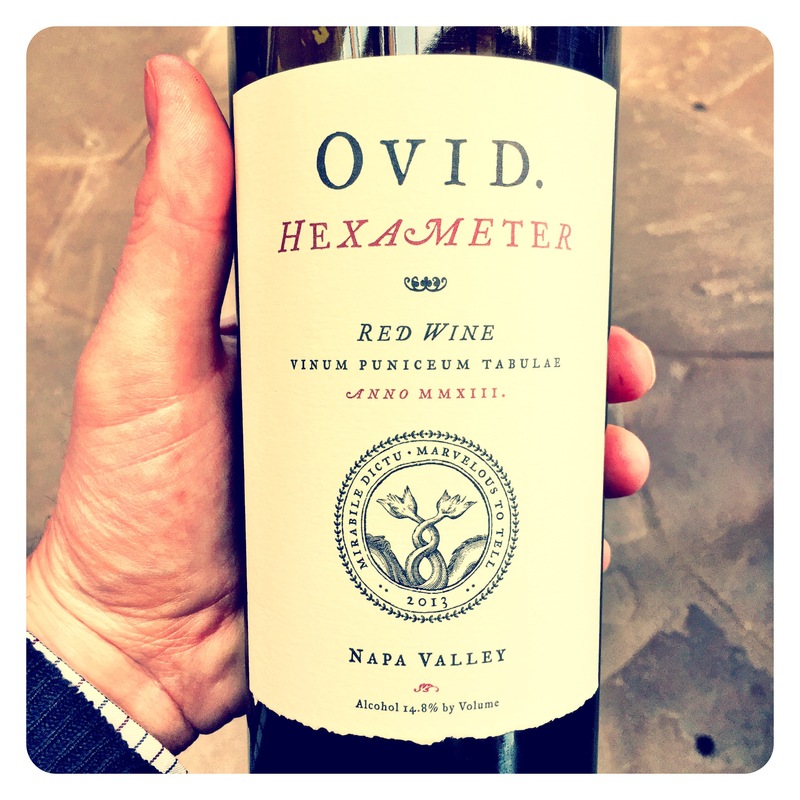 OVID Hexameter Red Blend 2013, St Helena, Napa Valley, 14.8 Abv. 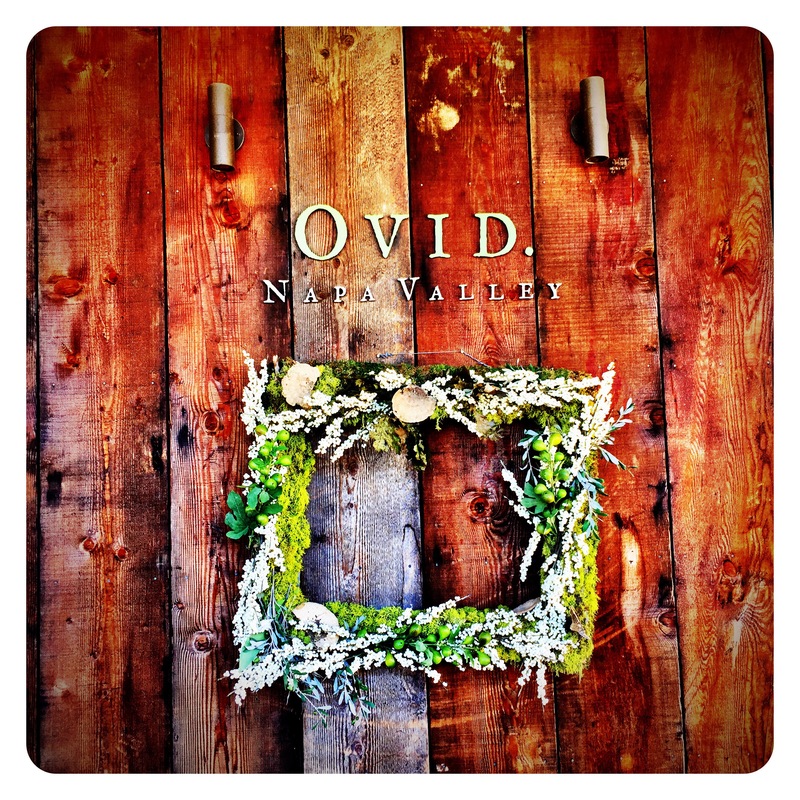 OVID Proprietry Red Blend 2010, St Helena, Napa Valley, 14.8 Abv. The pretty 2010 red is a complex blend of 63% Cabernet Sauvignon, 30% Cabernet Franc, 5% Merlot and 2% Petit Verdot. There are rich complex aromatics of black cherries, damson plums, sweet oak nuances and cedary dried herb spices. The palate is rich and fleshy with an impressively opulent mouthfeel with leafy undergrowth notes, plums skins, hedgerow, sweet cedar and sappy foresty spice. The tannins are super plush and sweet with a broad harmonious palate concentration, powerful intensity and wild forest berry fruits laced with choc mocha spice. Also beautiful freshness and a pure fruited vibrancy boldly displayed. I just love the wild, untamed, rugged mountain wine character of this OVID blend. 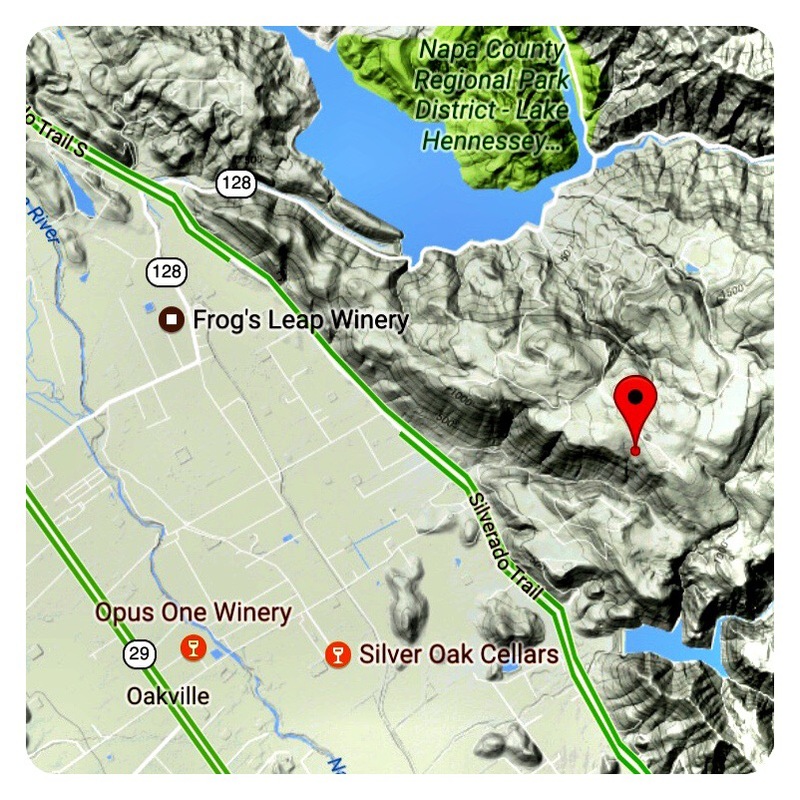 In the past few weeks, after “covert” negotiations, the sale of OVID Winery to Silver Oak Winery was announced for an estimated US$50m dollars according to CNBC. With 85% of production sold through a very sought after mailing list with a long waiting list, everyone in the UK is wondering whether the sale might just free up some modest OVID allocations for the UK market, where Silver Oak has itself enjoyed a popular following for a long time. We live in hope!